A retirement account rollover is critical to keeping your investments safe and organized. 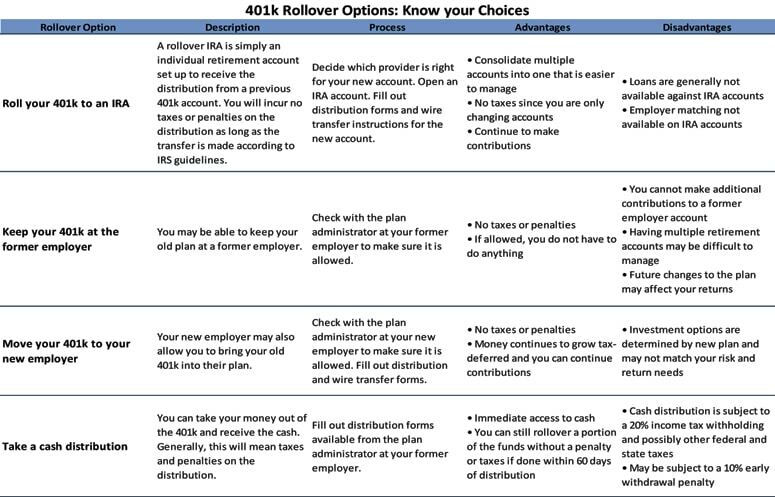 Follow this 401k rollover guide to put you on track. From talking babies to famous actors, everyone is talking about how you should do a 401k rollover after leaving your employer. The idea is simple enough but an overburdened process and rules by the government set the stage for massive confusion. The confusion leads many to put off a very important step in their financial plans and risks losing out on the upside. 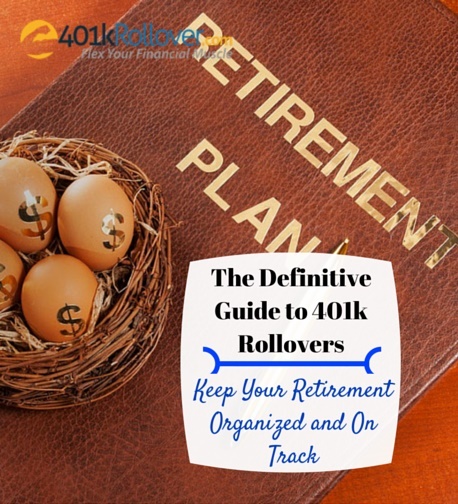 This guide will walk you through your 401k rollover options, why you should consider a rollover and how to do it without running afoul of the tax authority. The many choices can make for a difficult and stressful process but 401krollover.com is here to answer your questions and put you on the right path. Learn how to complete a retirement account rollover and keep your retirement on track! When you leave an employer where you have been investing in the company sponsored retirement plan, you have several options of what you want to do with the account. Many people are uncomfortable leaving their retirement account with a previous employer, especially if they change jobs more than once. Leaving all your 401k plans scattered among old employers puts you at risk of missing your retirement goals for lack of organization and corporate malfeasance. A 401k rollover is simply the process of moving your retirement account to an individual account (IRA) or one of the other options available. What Are My 401k Rollover Options? You have four basic options when deciding what to do with a 401k plan at a former employer. The chart below includes a description of each along with the general process, advantages and potential disadvantages of each option in retirement account rollovers. Why Should it Matter what I do with My 401k plan? The changing face of demographics and retirement in America is making retirement planning one of the most important decisions you’ll ever make. The average social security benefit in 2014 was just $1,294 per month or just over $15,000 a year. That’s not nearly enough to cover living expenses, especially the rising cost of healthcare. This is all assuming that social security continues to pay out benefits, an assumption that many are questioning given the likelihood of insolvency in the future. Planning and managing your own retirement accounts is more important than ever and you want your money to be in the safest, most secure place. While fraud is rare in 401k plans, the Employee Benefits Security Administration closed 1,042 investigations of retirement plans in 2009 and found 910 violations totaling over $17.9 million. Even if a former employer does not fraudulently raid the 401k plan, it may decide to hike fees on the plan. As a former employee of the company, you have absolutely no power over your old 401k plans. Beyond the problem of potential fraud or higher fees, tracking multiple retirement accounts can be a hassle, especially if you leave accounts at several different employers. For many, the easiest solution is to rollover accounts to an individual retirement account (IRA) where they can manage the investments themselves. A 401k rollover is a simple process and your new retirement account will enjoy all the benefits of tax-deferral. Your new account may also give you greater control over your money and how you invest. Most 401k plans offer a very limited selection of mutual funds with expensive fees and typically from just stock and bond investments. You’ll have many more investment options with a self-directed IRA including real estate, business funding and precious metals. The chart below compares the benefit to rolling over a 401k plan rather than taking a distribution or investing a distribution into a portfolio account. Taking the money out of your 401k when leaving an employer means quick access to cash but also a hefty tax bill. Withdrawing the funds before you are 59 ½ means a 10% 401k withdrawal penalty as well as federal and state taxes on income. The chart above assumes a 25% federal income tax rate and a 6% state income tax rate. Even investing the distribution into a portfolio achieving a 6.5% annual return, you would still miss out on more than $30,000 over the course of 20 years. Rollovers can be made without tax consequences and without the penalty. Moving a 401k account from a former employer’s plan to another is a fairly easy process but you will want to make sure you abide by IRS rules or risk getting hit with a surprise come tax time. If you are rolling over your retirement account to a new employer or to a managed plan, your new plan administrator will be able to help you with the required forms. The process of choosing a new plan administrator is a matter of checking fees and expenses to decide which is right for your needs. Rolling your old 401k into a new employer plan isn’t usually the best option. You will be contributing to your new 401k plan anyway. Putting all your retirement money in one plan leaves it at risk if something happens to the plan or the investments don’t do so well. Completing a 401k rollover into a self-directed IRA means you diversify your retirement accounts for more safety to reach your goals. If you are rolling over your plan to a new employer or to a managed plan, your new plan administrator will be able to help you with the required forms. The process of choosing a new plan administrator is a matter of checking fees and expenses to decide which is right for your needs. If you are rolling over your plan to a self-directed IRA, you may have a little more to do yourself but even most self-directed brokerages will have customer service to guide you through the process. Fees and expenses on self-directed accounts are often lower than with managed plans and you will likely have more investment options available. The first is an account application to open your new account with a new employer-sponsored 401k plan or a brokerage account for a self-directed IRA. After your account is open, you will need to fill out a transfer form to move the money from your previous 401k account to the new one. You may be able to move your money directly from one account to the other through a wire transfer. If this is not available, you can have the old 401k distribute the funds through a check to your personal checking account. You will have 60 days from when you receive the money in your personal account to move it to your new retirement account. If you take even one additional day beyond sixty, you may be charged a 10% penalty as well as income taxes on the amount. Beyond the process for a 401k rollover to a new retirement account, you will want to do all the things you normally do when planning your financial goals. Make sure you compare fees and expenses at several account options before opening a new retirement account. Make sure the investment options offered on the plan are appropriate for your risk and return needs. 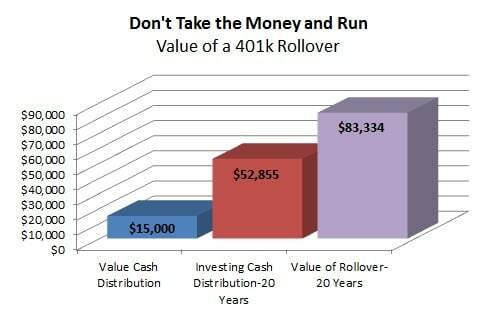 Do not rollover your 401k just because someone tells you it is the right thing to do. Carefully look at the comparison in fees between different accounts and your investment options. Do consider increasing your 401k contributions each year and with each raise in salary. Making your contributions automatic and progressive is the best way to meet your financial goals. Do not miss the opportunity during your rollover to reexamine your portfolio diversification and investment goals. You might have built up a considerable stake in company stock at your last employer, dangerously overweighting your portfolio to the risks of one company. Diversify your holdings according to your risk tolerance and need for return. Do write your 401k accounts into your estate and disability plans. Your loved ones could be going through difficult times. Help them avoid the uncertainty and pain of legal proceedings around financial accounts. Do not take longer than 60 days after receipt to transfer your 401k funds to another retirement account. Doing so will mean a 10% penalty and a big hit during tax time. A rollover IRA is a special retirement account you set up to receive distributions from a previous 401k or other plan. It is no different from any other IRA other than the fact that initial funding comes from another account rather than annual contributions. What is the cost to rollover my 401k? Generally, there is no sales charge for rolling over a 401k to a different provider though normal account fees, fund expenses and service charges may apply. Make sure you ask the plan administrator what charges will occur immediately and what annual fees will be charged to the account. How do I roll over a 401k to another provider? 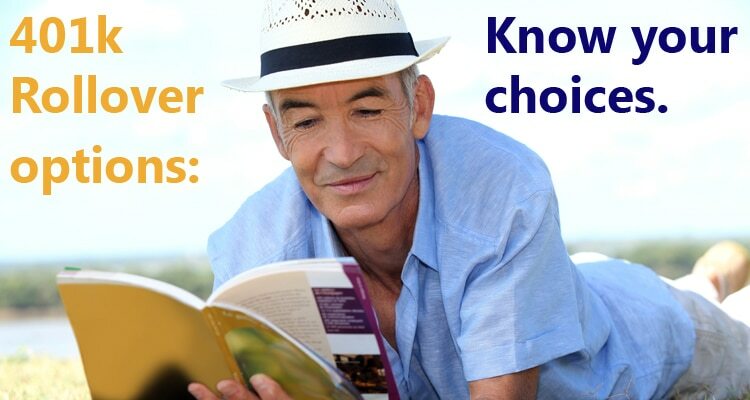 After deciding which provider you want to manage your new plan, you need to open a rollover IRA account. Your new provider will then help with wiring instructions from your old account. What if I have an existing loan on my 401k plan? Some plans allow you to borrow on your 401k balance as long as the loan is paid back within a certain period of time. It can be easy to forget that you have a loan outstanding, especially if the payback comes directly out of your salary. Roll over the plan or forget to pay off the loan and you could get hit with a hefty fine and tax bill. Contact your plan administrator to find out how much is still owed on your 401k loan before you make the rollover. How do I know what investments are right for me? Your investment portfolio should include a mix of low-risk, stable-return assets like bonds and real estate as well as some higher risk investments like stocks. Understanding the right mix depends on your age, size of the portfolio, how much you’ll need in retirement and how comfortable you are with risk. What do I do if I am unsure about what to do with my 401k plan?